Cast iron in an aged bronze finish. 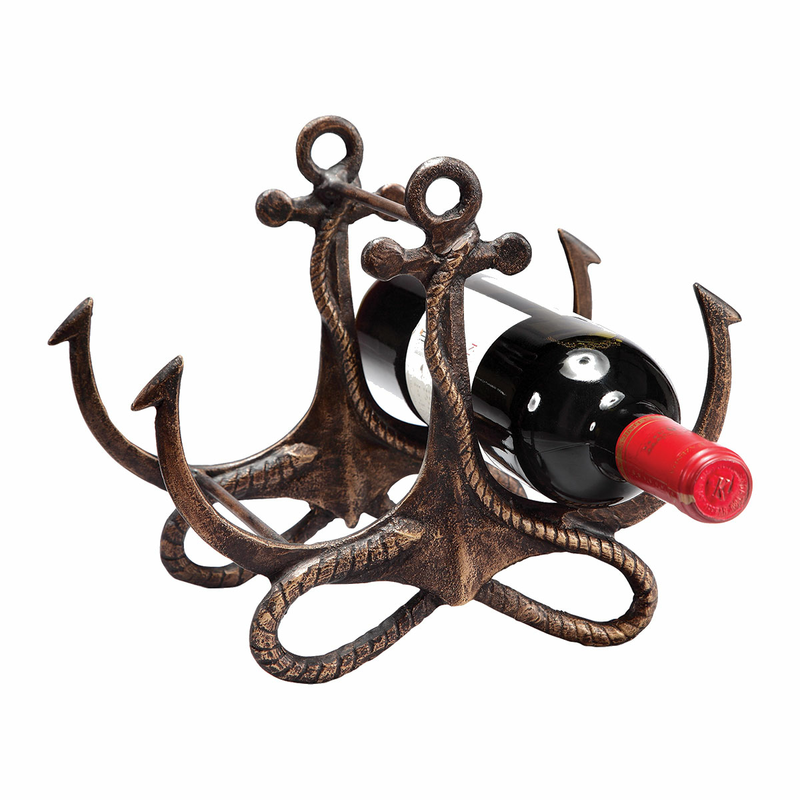 Holds two wine bottles. 8 1/2"W x 7 1/2"D x 10"H. Ships from the manufacturer. Allow 3 to 4 weeks. Cannot express ship.